In 1862, Camp Collins was established to protect travelers and settlers along the Colorado branch of the Overland Trail. It was named after Lt. Colonel William O. Collins, of the 11th Ohio Volunteer Calvary. This fort was destroyed by a flood in June 1864, and a new post established in August 1864, five miles downstream. Declared safe from Indian raids, it was abandoned in 1867, but residents stayed behind. In 1872, Fort Collins became platted and incorporated. The town’s roots were agricultural with wheat, oats, and barley thriving. Sugar beets, whose tops fed sheep and cattle, rotated with alfalfa. By the early 1900s, between 250,000 and 400,000 sheep and lambs were fed annually, leading to the town’s claim as the “Lamb Feeding Capital of the World.” This agricultural boom led to a rapid growth of Fort Collins. The community has always heavily focused on education. In 1870, Fort Collins became the home of the state agricultural college with the first building constructed in 1879. It is now known as Colorado State University, the state’s second largest university. 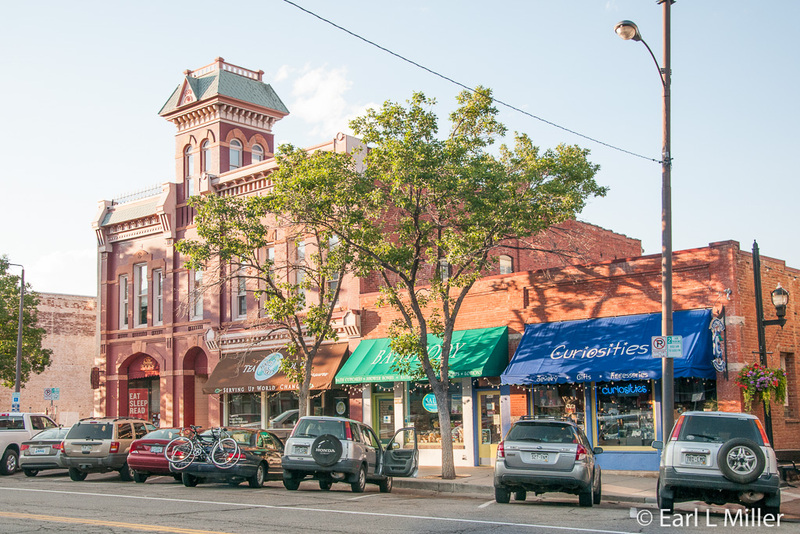 Driving through downtown Fort Collins, I was amazed at how vibrant this town is. I was also surprised with the city’s “Old Town” link with Walt Disney. Harper Goff, an artist and Imagineer for Disney, used Fort Collins, where Goff grew up, as the inspiration and models for Disneyland’s Main Street USA. When Goff started working on Main Street, he showed photos of some of the buildings to Disney, who liked them very much. The city hall, Poudre Valley Bank, and some of the other buildings were copied from Fort Collins. Fort Collins had a grassy roundabout which is similar to the one at Disneyland’s Main Street USA railroad station. “Old Town” today is a wonderful place to visit shops and galleries, eat, and visit nightspots. It’s the restored section of town. One block of it is a pedestrian mall complete with fountain and sculpture. It didn’t matter whether we were there on Tuesday afternoon or Sunday evening. The place was always busy. It’s a place that would make many other downtown areas jealous. 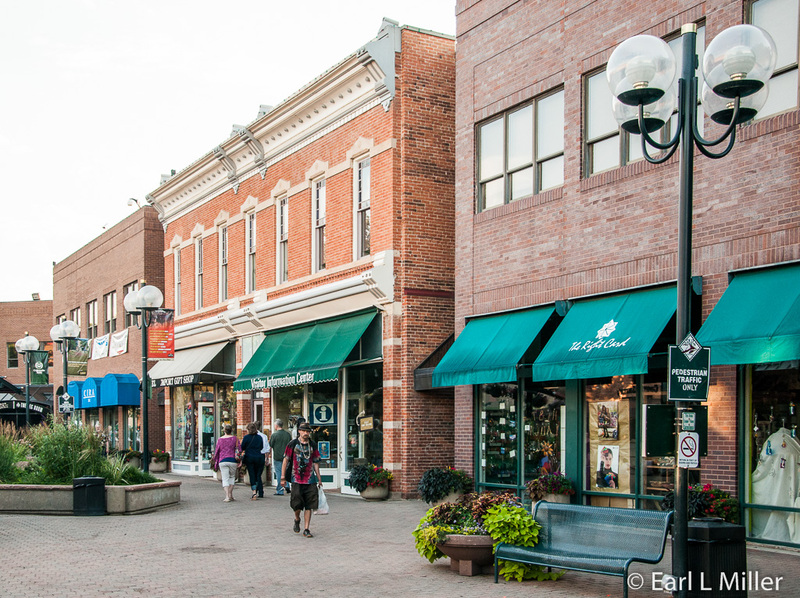 Before you explore Fort Collins, head to “Old Town” to visit the Fort Collins Visitor Center. It has a comprehensive selection of brochures on everything from lodging and dining to attractions of all types. The staff is willing to answer your questions and offer suggestions for your time in their town. 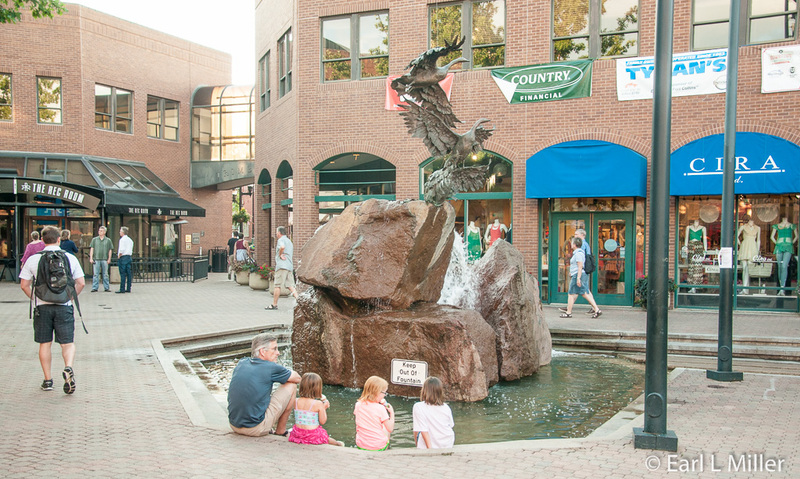 It’s located at 19 Old Town Square #137, and its phone number is (970) 232-3840. Their web site is www.visitftcollins.com. If you are spending time in several areas throughout the state, stop at the Colorado Welcome Center at Fort Collins. We’ve discovered not all the Colorado Welcome Centers have adequate room for RV parking, but this one does. It contains a wealth of guidebooks, provided by the various cities throughout the state, as well as individual brochures. The staff is very eager to help you locate on the racks the kind of information you need. It’s found near 3745 E. Prospect Road and the phone number is 970-491-3583. Closed on major holidays, the hours are Memorial Day to Labor Day: 8am-6pm; Labor Day to Memorial Day: 8am-5pm. 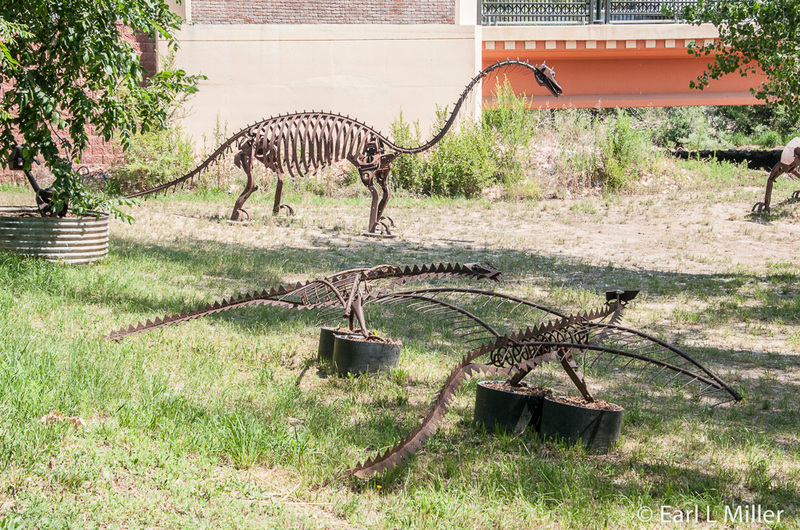 A trip to Fort Collins Visitor Center led to us discovering the following two attractions not in any of the nine guidebooks I reviewed before our trip. That is one benefit of making a stop at one of these centers, you might just find something totally unexpected. 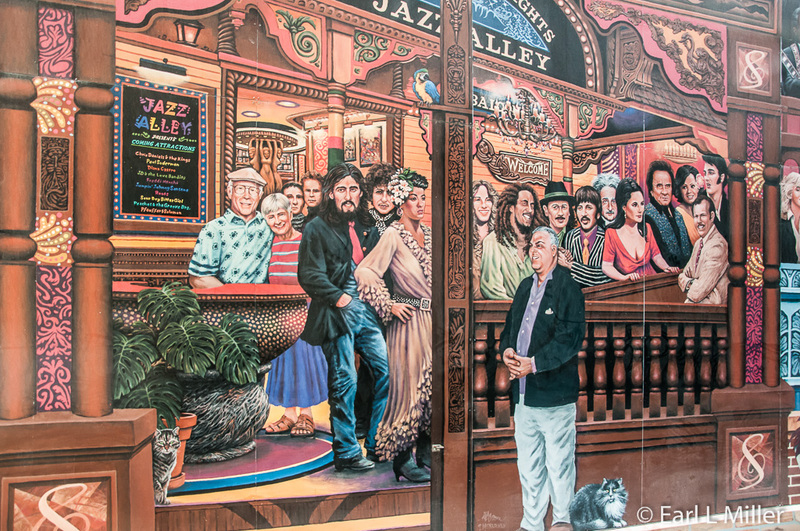 Jazz Alley is a 1500-square foot mural located between Bohemian Foundation’s Mitchell Block and the Fort Collins Food Co-op. It runs from Mountain Avenue to Walnut Street, one block east of College, and is open to the public from 6 a.m. to 10 p.m. daily when a gate is closed between the two buildings. This attraction is free to the public. The mural depicts a mix of 38 musicians, celebrities, and pop icons watching a band composed of ten Fort Collins musicians. Some of the figures are Simon and Garfunkel, the Beatles, Albert Einstein, and the Obamas. Among the others are Johnny Cash, Diana Ross, Marilyn Monroe, and Elvis Presley. Terry McNerney, a local artist, was commissioned to paint Jazz Alley in 2011. He created the mural using house paints on aluminum siding panels. It took him 18 months to complete the project’s sketches and seven months to paint the panels. This museum touts itself as the only intercultural museum in Colorado. Housing two temporary and two permanent exhibit areas, the museum came to its present location in April 2011. Its purpose is to foster and celebrate international connections between Northern Colorado and the world through exhibits of fine arts, folk arts, and artifacts. The exhibit on Alaska runs through September 30, 2014. It features artifacts regarding the hunting, fishing, and home life of various Eskimo cultures as well as various uses of walrus ivory. Folk Art of Mexico replaces it from October 3 through January 24 followed by Southeast Asia on February 6. For these exhibits, the museum staff invites the community to temporarily lend to Global Village Museum some of their treasures. “Small Faces - Cultural Masks and Heads” runs through September 20, 2014. It consists of various sizes of masks and miniature heads from around the world. Some are human faces while others are animal faces used in ceremonial dances, theater, or religious beliefs. Again, the museum counts on the community to temporarily lend these artifacts. One of the museum founders, John Roberts, was a former Peace Corps volunteer, foreign service diplomat, and a Peace Corps country director assigned to 19 countries. He collected dozens of folk art pieces on display in the museum’s Main Gallery. Artifacts are from Asia, the Solomon Islands, Madagascar, and Zambia. 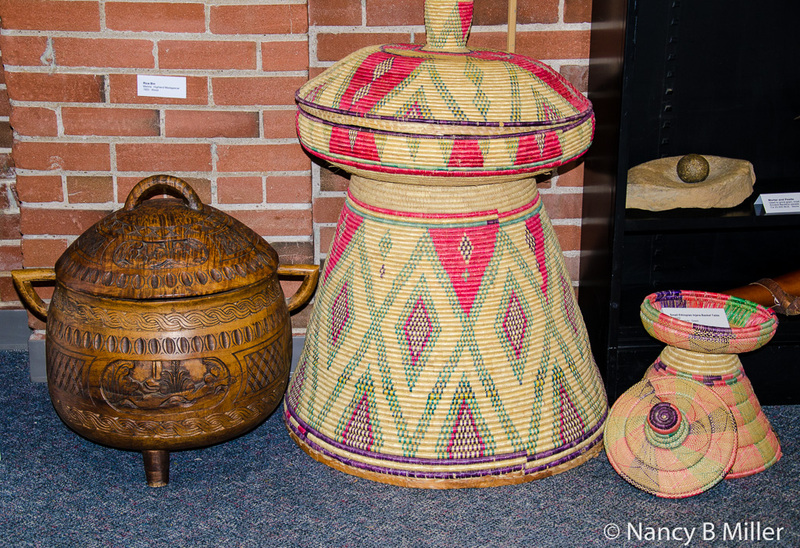 I was impressed with the basket table from Ethiopia and woman’s grass skirt from Papua, New Guinea. Mundoville is the other room with a permanent exhibit. It contains hundreds of folk dolls, puppets, more than 21 miniature dwellings, and multiple small-scale scene replications such as the 1940's Texaco Station. 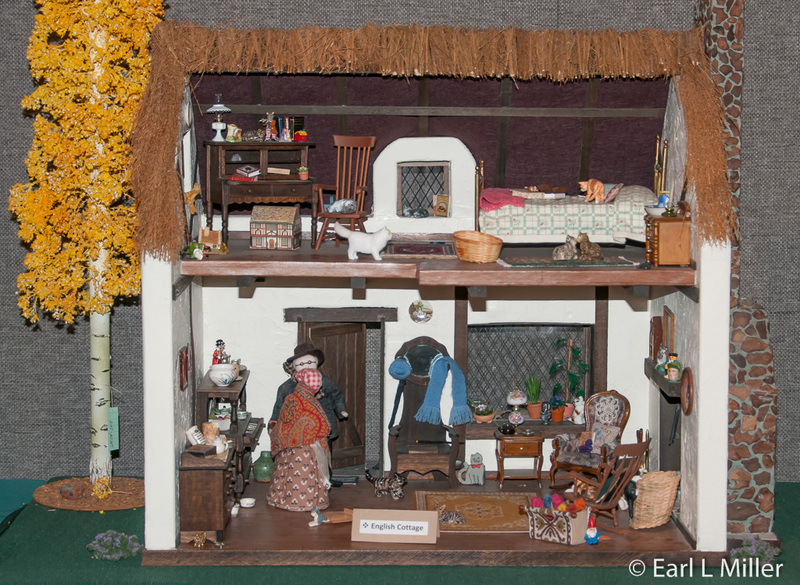 You’ll see doll houses of various types such as an early American keeping room, Victorian home, English cottage, French apartment house, and New Mexico adobe house. They even have a Russia dacha, Pakistan homestead, and two-story outhouse. Global Village Museum is found at 200 West Mountain Avenue. Their telephone number is (970) 221-4600. Admission is $5 for adults and $3 for seniors ages 62+. Swetsville Zoo is not really a zoo. It’s an amusing array of 150 aliens, spaceships, insects, and dinosaurs ranging from a few inches to towering creatures. 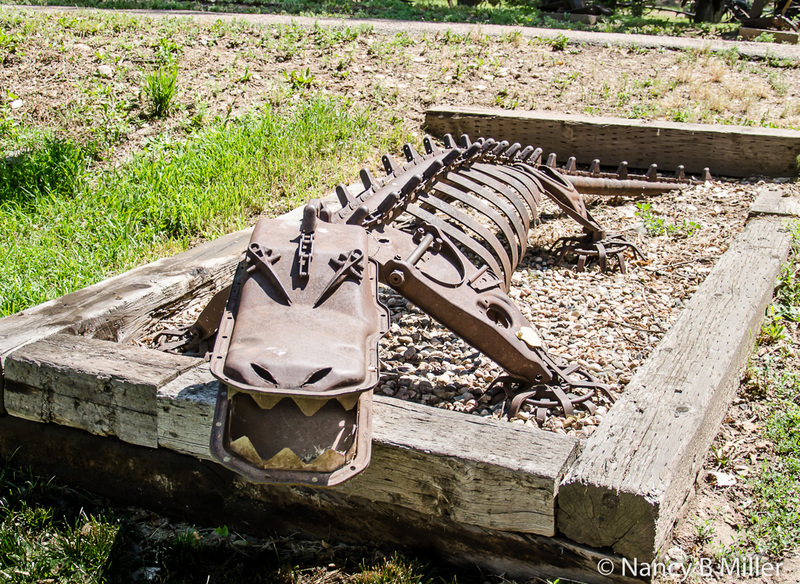 The zoo is landscaped with metal flowers and windmills along a winding path outdoors. 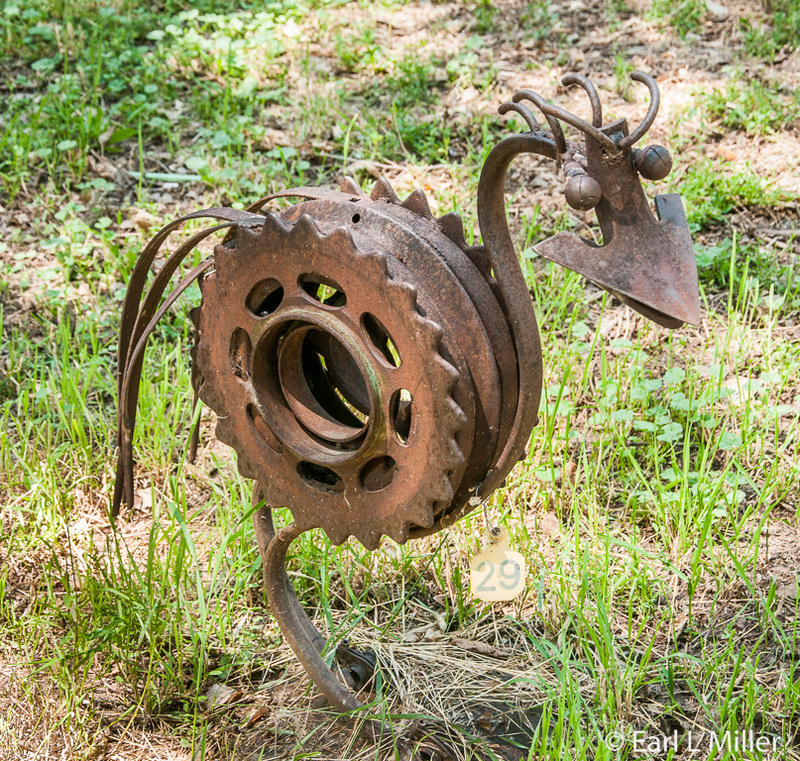 All were made out of car and truck parts, farm equipment, tubing, and sheet metal by farmer/fireman/sculptor Bill Swets. He created his first sculpture in 1985. From 1985-1995, he made 15-20 each year. Since 1995, his pace has slowed down. Swet mentally plans each project without blueprints. He uses propane and a cutting torch to cut or access appropriate parts then uses a welder to complete his project. You tour the property on your own. No one is there to collect an admission. It’s located at 4801 E. Harmony Road. The Fort Collins Municipal Railway is the only restored city streetcar operation in the western United States. Since 1985, Car 21 has run on the route on weekends from May to September, from noon to 5 p.m., over 1-1/2 miles of track. Each trip leaves on the half hour from City Park. Fare is $2 for adults and $1 for seniors. Electric streetcar service started operations in December 1907 in Fort Collins as part of the Denver & Interurban Railroad, a subsidiary of Colorado and Southern Railway. Due to light ridership, the line failed and went into receivership July 10, 1918. This left the town without any mass transit. Fort Collins purchased the system and restored service in 1919. Rolling stock was not included so the city purchased four new Birney-type cars and within a few weeks reestablished service. Eventually other cars were acquired. During the time Fort Collins owned the system 1919-1951, Birney cars made up the entire fleet. It had three lines and operated on a 20-minute schedule. It was the last all-Birney streetcar system in North America and maintained the fare of a nickel the entire time. That was the lowest fare of any public transport system in the country. Operation came to an end June 1951. It was the last city in Colorado to end streetcar service. In 1977, the Fort Collins Junior Women’s Club proposed giving Car 21, the only car to remain in Fort Collins, a cosmetic restoration. The car was in horrible condition as the wooden roof had rotted through and the car’s ends sagged badly. The window frames were also badly rotted. 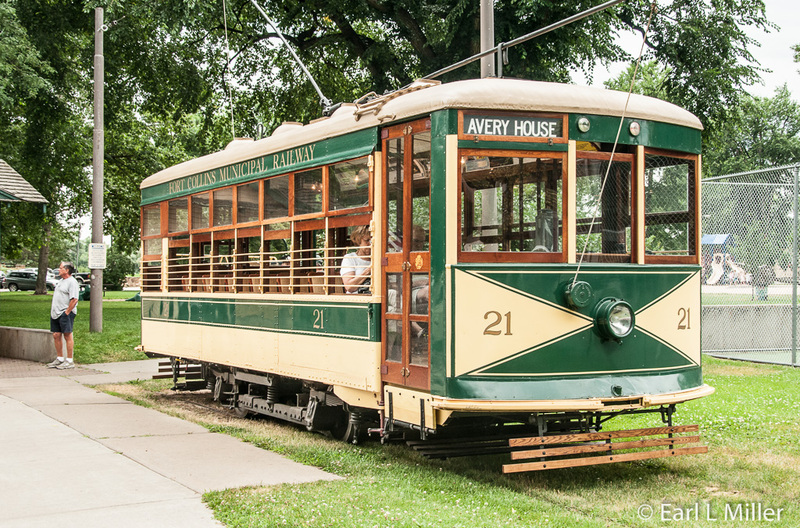 Their proposal evolved into a more ambitious plan, to restore the car to operating condition as well as a section of the former streetcar system as an operating heritage railway. With this goal, the Fort Collins Municipal Railway Society formed. They spent many hours restoring the car, redoing the 1.5-mile section of track along West Mountain Avenue and Roosevelt Avenue, and building a car barn. They purchased a substation to provide 600Vdc electric power and reinstalled overhead wires along the route. It took until the end of 1984 to restore it, with the first trip December 29, 1984. Remington School in Fort Collins was the home of the first kindergarten west of the Mississippi River. Fort Collins Visitor Center in "Old Town"